Crisis talks to resolve serious traffic and parking problems at the French Grand Prix were scheduled to take place. Crisis talks to resolve serious traffic and parking problems at the French Grand Prix were scheduled to take place after a day of extraordinary queues, over-heating cars and angry ticket-holders. Many spectators, who had purchased tickets to watch Friday’s two opening practice sessions, were unable to reach the circuit by car because of the long tail-backs on the narrow roads leading to the relatively inaccessible Le Castellet circuit. In a statement, the Var prefecture said it believed “the situation is improving” and added that a planned meeting with the organisers of the French Grand Prix was to go ahead in a bid to create a contingency plan. 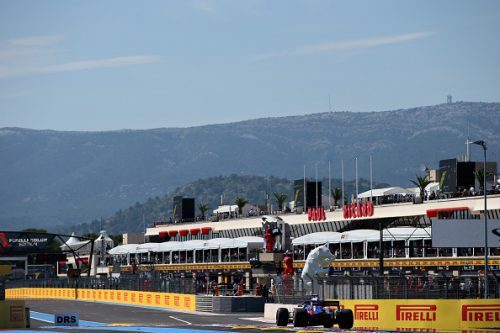 Tail-backs of up to six kilometres were still in evidence on Friday evening as, in air temperatures of 34 degrees Celsius, local homebound traffic added to the chaos created by the return of the French Grand Prix at Le Castellet after 28 years. The Paul Ricard circuit had decided in advance to restrict capacity to 65,000, but on Friday found it was unable to manage the pressure of thousands of spectators arriving together.